According to a World Health Organization fact sheet in 2007, almost 3000 people commit suicide every day. The act of suicide devastates the lives of family and friends. For every person who completes a suicide, several more may attempt one. Men are 3 to 4 times more likely to commit suicide but attempts are more common in young people and females. For members of the families and friends, affected by suicide or attempted suicide, the emotional impact usually lasts for many years. There is a growing awareness of the taking of one’s life as a major public health problem and rates have gone up by 60% over the last 50 years. The increase has been more marked in developing countries. 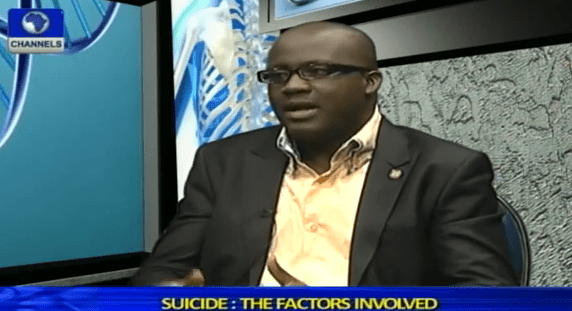 Dr. Peter Ogunnubi, Senior Registrar in the Department of Psychiatry, Lagos University Teaching Hospital, Idi Araba, says there is more increase in the rate of suicide which is due to lack of awareness. He listed some of the factors involved in suicide as, mental health which includes depression, medical conditions such as Cancer, HIV, unemployment, emotional issues, rational suicide amongst others. Dr. Ogunnubi cautioned the media and the movie industry on what messages are behind their movies, stating that most children practice what they see on the screen.